The Thule 520-1 Folding Uprights allow you to stack kayaks on their edge as opposed to flat. This is an excellent option for carrying multiple kayaks which would normally not fit side-by-side. 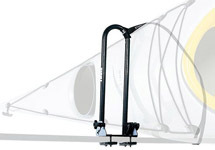 The Kayak Stacker uprights provide the necessary support and strap attachment points in order to securely load kayaks on their side against the uprights. 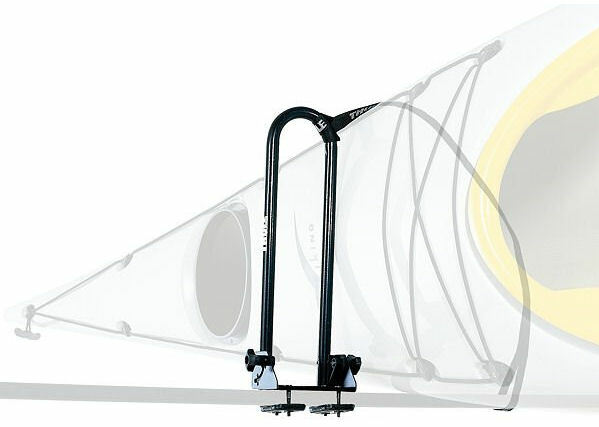 One of the main advantages on the Thule 520-1 uprights compared to others on the market is that they can also be folded down when not in use to allow access under low barriers without the need to remove. 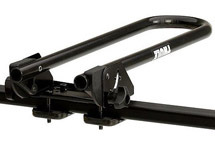 The 520-1 Uprights are suitable for both standard & aero bars. They come complete as a pair with all the necessary attachments and 1 x Pair of 2.75m Straps. Includes 1 x Pair 2.75m sturdy straps to keep the kayak firmly secured. Upright bars fold down when not in use. Fits both standard & aero bars. 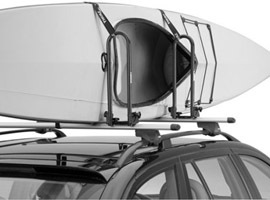 The Thule 520-1 folding kayak uprights allow kayaks to stacked on edge so multiple kayaks can be transported. The uprights are designed to secure 1 or more kayaks on edge during transit. 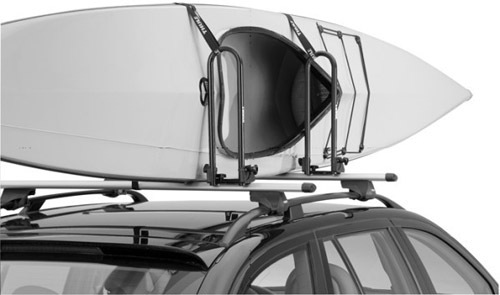 The Kayak Stacker 520-1 folds down when not in use to reduce your vehicle's height.